Executive Summary: BEN & GAWS PVT. LTD has grown to become one of the preferred privately-owned engineering company by manufacturing superior and innovative ‘bolted panel’ liquid storage tanks. 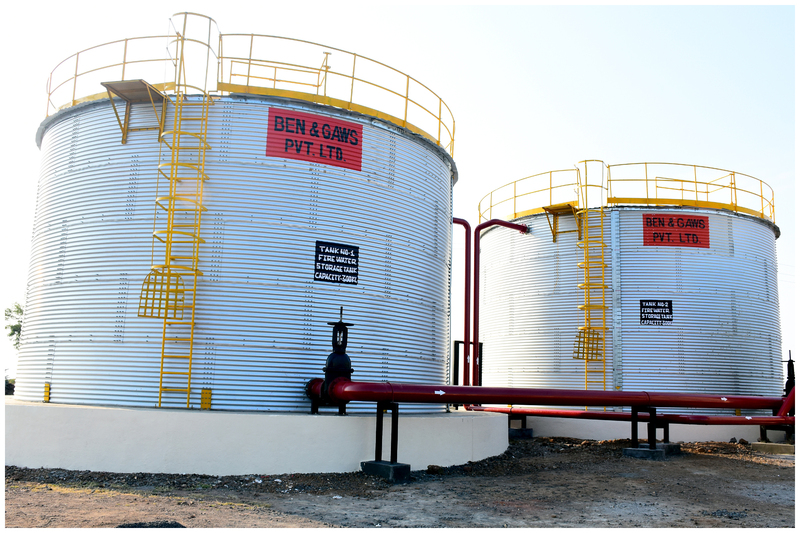 Build with high-tensile bolted structure and with inside liner or membrane coating, these tanks ensure zero chance of leakage or wastage, avoids contamination and increases longevity of the storage plant. Less manufacturing time, light weight, easy to ship at knocked-down stage, easy to build at site and cost are the other advantages of these type of storage solutions compared to those of conventional concrete or welded mild / stainless steel storage plants. These tanks are also known as multi-purpose storage tanks as by changing the inside membrane or liner , the same tank can be used for different purposes. For an example, a tank with anti-static membrane can store combustible liquids like diesel and by replacing the inside membrane (easy manual process) y a food-grade membrane the same tank can store consumable liquid like drinking water or Frooti. Market need: Issues with current storage facilities: Loss due to insufficient storage. Loss due to improper storage. Space requirement in conventional storage. Limitations of uses in conventional storage. Cost of conventional storage. Building / Installation time of conventional storage. Life of conventional storage. Numbers of Labours involvement. -------------------------------------------------------------------- Solution we are offering: Corrugated bolted type modular structure with inside liner. Less weight therefore less cost. Easy and economical transportation. Maximum space utilization. Single storage tank for multiple purpose. No leakage or wastage. No Contamination. Optimum protection against rust formation. Less manufacturing time. Easy to relocate or change the capacity. ------------------------------------------------------------------- Cost Comparison with Conventional storage: For Diameter: 20.69 meter, Height: 10 meter, 3311 cubic meter, purpose: water storage Cost of our tank: 78,00,000.00, manufacturing time: 35 to 40 days, Installation Time: 15 days. Cost of concrete tank: 2,15,00,000.00, building time: 90 to 120 days. Cost of welded mild-steel tank: 1,15,00,000.00, manufacturing / fabrication time: 45 days, installation time at site: 60 days. Product/Service description: STORAGE TANK CONSTRUCTION: ZINCALUME-high tensile-corrugated bolted steel panels made outer shell along with high tensile inside liner or membrane guarantees long term safe storage for the variety of liquid with zero leakage or contamination. INSIDE LINER: Liners are prefabricated as one ‘bag’ or ‘bladder’ to fit inside the storage tank and to hold the liquid inside. Liners guarantee zero leakage of liquid and no direct contact between the store liquid and the storage tank steel wall to restrict corrosion on steel wall and contamination in the liquid. Liners are fabricated from high tensile PVC, TPU or EPDM fabrics with food grade, anti-algae, anti-static, fire-retardant and anti-cracking properties. BRUTE STRENGTH: High tensile corrugated steel wall externally supported with ‘W’ type stiffeners and studs, sheared from black carbon steel, provide maximum strength to the storage tank and increase its load carrying capacity. ANTI-CORROSION LIFE: Marine grade ZINCALUME steel offers probably the best available surface protection on earth against corrosion even in harsh environments like coastal regions, regions with high rainfall or snowfall or environments with high acidic or alkaline presence. Customers/Users: 1. Grain processing plants, 2. Grain storage warehouses, 3. Drinking Water storage, 4. Municipal waste water storage and treatment units, 6. Industrial process and treated water storage and treatment plants, 7. Industrial waste water storage and treatment plants, 8. Diesel and Biogas storage and processing plants, 9. wood chips, husk and biomass storage, 10. Molasses and sugar storage, 11. Rain water harvesting, 12. Power Plants etc. Current end -users of our storage solution: 1. ONGC / TATA PROJECTS LIMITED. 2. PATANJALI. 3. PARLE. 4. DABUR. 5. TATA GLOBAL. 6. RELIANCE POWER. 7. JOHNSON & JOHNSON. 8. UNITED SPIRIT. 9. CEAT. 10. BKT. 11. GOODYEAR. 12. CONTINENTAL. 13. UNICHEM. 14. XALTA FOODS. 15. INDIAN GLYCOL. 16. KIRLOSKAR. 17. WIPRO WATER. 18. HALDIRAM. 19. HONDA. 20. TVS. 21. ISGEC HEAVY ENGINEERING. 22. ALLIED BLENDERS. etc. Revenue Model: 1. DIRECT SALES OF THE PRODUCTS. 2. INSTALLATION SERVICES. 3. MAINTENANCE AND REPAIRING SERVICES. Current traction: 1. Monthly sales turnover is approximately 1 cr INR. 2. Confirmed orders in hand is 17.88 cr INR. Past Experiences: 1. Technical Sales Manager: SCAFCO GRAIN SYSTEMS, USA. ( 2 years). 2. Technical Sales Manager: BENTALL ROWLANDS, UK. ( 2 Years). 3. Manager Project Planning : L& T ECC , 2 Years. 4. 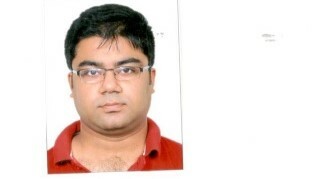 As an Individual Consultant: Liquid & Dry Solid Storage Plants, 4 Years.